I recently ran into a nasty situation where I needed a reliable way to get a list of user Full Names (or Display Names) from a list of usernames in a SharePoint process. Well, under normal circumstances, sure. In this circumstance, I was checking a list of lists of user names, a condition where I might need to check hundreds of items, each of which could have a list of users to check. No biggie, just add a lookup table and cache the results over multiple calls so that I only ever have to look a user up once in my process. Now here's the real kicker. In my target environment, EnsureUser comes back instantly if the username is a valid, active user in Active Directory. If the user is not a valid user? The command takes over 40 seconds per call to fail! 1) use the aforementioned cache strategy, which I have in my sample code below as _nameMap. 2) Use a simple worker thread. Give it two seconds to succeed. Kill the thread if it takes longer than that for any reason. I initially made the mistake of using SPContext.Current.Web in the thread, but that can *sometimes* produce a threading violation. The code below creates a whole new instance of SPSite/SPWeb on every pass, but that's a lot safer and better performing than a lot of alternatives. After a conversation with my boss I just downloaded Continuous Delivery to my Kindle reader (Windows 8 / Windows Phone app). "Software Factory" took Continuous Integration (CI) up a few notches by automating not just builds, but code generation, deployment packaging, and then an early stab at what might now be called a private cloud, where we automated spinning up an instance of target test systems, deployed the fresh baked product, ran smoke tests, and (if smoke tests looked good) notified the folks in QA for more complete testing of a solid candidate. I’ve been a fan of Domain Specific Language (DSL) for the purpose of custom build & automation ever since. For that company our solution was an on-premises deployment, so it was still a matter of convincing customers to deploy the updates… but our automation produced both full install kits as well as patches that would upgrade a running system from a known build to a target build. That company was preparing to take the product into the SaaS model which was very new at the time, and this would have been a part of that, as well. I've worked with TFS to integrate smoke testing and build automation, as well. That could easily extend to this sort of thing. That company suffered from lack of customers, unfortunately, but it was a process I’ve been looking forward to getting back to, and expected we’d get back to in the consulting world some day. It's interesting that Software Factory (as Continuous Delivery) is working it's way back to top of mind relevance through the cloud... I'm looking forward to reading what the authors of this book have to say about it. If you hadn't heard yet, Jornata merged with BlueMetal. As part of the merger, BlueMetal organized a session of "BlueMetal Academy" to help transition the team. In spirit of a true merger, Jornata members participated as trainers, as well, showing that Jornata's culture is really being assimilated, not purged. (The merger is a solid marriage, rather than simple annexing of resources, both sides bring common values but distinct strength to the partnership). At the end of the training, we were asked to come up with one word to reflect what we'd learned over the course of it. Just one... on a moment's notice. Responses were things like "Integrity", "Consistency", "Connection", "Inspiration", "Committed", "Legit" and a few other words of similarly positive connotation. I had the advantage of being among the last in line to respond, so I considered each of them as they were spoken. In my head, I responded to each word as it was spoken. "Yes", "True", "Good one"... those all fit. "What says all of that? ", I thought. Digging deep, I could only think of one word that conveyed all those qualities... everything we learned. there's only one word that says it all, and I didn't say it to play Captain Obvious... "BlueMetal"
Ok... the cool-aid is either totally Stepford, or totally legit. Given my experience with BlueMetal teammates in both the SharePoint AND Windows Phone Dev communities, before I ever had the opportunity to join... it's not Stepford. That said, I think the expected answer was "Mahan", as in Mahan Khalsa, author of "Helping Clients Succeed" which plays an over-arching theme across the company. Someone may have even said that, but I didn't catch it. I still like my original answer. This past spring I joined Jornata, mostly to shake up my career. Jornata was/is a fantastic team to be a part of in its own right. My prior experience with them in the SharePoint community was also first rate. I might have pursued a job at BlueMetal years ago on my own were it not for the daunting commute. The winds of change clearly had more in store. Now, I find myself thinking that BlueMetal really looks like the company I always had in mind to work for when I was teaching myself programming as a kid.. and I mean everything.. from its respected thought leaders to its community involvement to its extremely purposeful corporate structure... being employee-owned... I realize this team is top to bottom, front to back, enterprise ready, industrial strength, yet premium consumer quality... and they have my back. It will be my honor to have this team's back. I'm very much looking forward to settling into the new team, and really looking forward to digging in on a nice juicy app development project. Duty to the customer has pulled me quite a bit toward infrastructure build outs... Being successful at those things has had the curse of being asked to do more of it. The further away from C# I get, the further I am from my true passion & real value add, and that doesn't really cut it for me or my team, longer term. "Cloud First" means SharePoint developments don't wait for major releases. It's very true, with developments implemented in SharePoint Online, including Delve and social graphing, there's lots to talk about. Incremental changes they may be, but increments happen at a more rapid pace than they did in the Pre-SharePoint Online world, and of course that has implications for SharePoint on-prem, on premise. Regarding the NH SharePoint Users Group, our schedule remains on the 1st Thursday of the month thru the end of the year with the December meeting being held at the Microsoft Store in Salem. Our speakers and topics remain to be determined. #NHWPUG is dead.... long live #NHWPAD! The Granite State Windows Phone Users Group is in the midst of some bit of reorganization. We had long discussed the idea of broadening the focus of the group to include Universal platform app development, and the topic got some hot debate when 8.1 was announced. With the announcement of Windows Threshold as the unified version of Windows that will run on all hardware form factors (pc's, laptops, tablets, phones, and even Xbox consoles) it's become clear that we need to redefine our group and refocus it. With this post, I'll announce that the group will be called the "Granite State (NH) Windows Platform Application Developers". I'll begin re-branding the existing LinkedIn, Facebook, Eventbrite and Meetup sites, and the community app. We'll continue to support Windows Phone 8 app developers, but our focus will move to supporting community evangelism of developers in the Windows App Store space. I want to thank the my new teammates at BlueMetal for putting up with my agonizing over this change somewhat openly within the team's internal discussion, and for their support. I'm not worthy, but I can't help but think it's a huge win for the Granite State SPUG and WPAD groups, and the greater New England technology community. Our next meeting will be in November, but we'll get that announced soon. Regarding the SPSNH schedule change.... To make a long story short SharePoint Conference 2014 pushed off SharePoint TechCon SF, which then push SPTechCon Boston right into SharePoint Saturday New Hampshire's traditional 3rd Saturday of September space. Our choices were to have SPSNH before or after SPTechCon, and going after seemed reasonable. Several sites including pocketgamer.fr and WMPowerUser are reporting that King has decided to not bring it's popular Candy Crush Saga game to the Windows Phone ecosystem. (It's "on hold indefinitely".) I suspect Disney and Mojang have much more to do with this than Windows Phone's market share. Most sites reporting King's changed stance cite poor growth of the Windows Phone ecosystem as the reason for putting Candy Crush for Windows Phone on hold. I don't believe them. The news, of late, ironically, has been loudly about two things. 1) after a lull while Nokia was absorbed by Microsoft, Windows Phone has significantly improved its market share in the past quarter or so. 2) Microsoft bought Mojang. The more likely reason: (and I would love for King to prove me wrong, but...) I'm reasonably certain that if King released Candy Crush Saga for Windows Phone right now, it would fail... and I bet they know that. I speculate that King has been holding their Candy Crush Saga app hostage from the Windows Phone ecosystem for some time, possibly hoping Microsoft would buy King in... a Mojang/Minecraft-like multi-billion dollar play. Clearly, Microsoft buying Mojang was a smart choice, since Minecraft has almost become a gaming platform of its own. There is a Minecraft community and ecosystem with many vendors producing products and supporting it for their own continued success. I suspect that for those vendors, Microsoft buying Mojang will multiply Minecraft's ecosystem success; the ecosystem will be more broadly and more consistently available to more players. King, on the other hand, is a one-hit wonder who's core titles are fading as all titles do. Candy Crush Saga's fading brand isn't the reason the title would fail on Windows Phone, however. The reason Candy Crush Saga would fail on Windows Phone is because Windows Phone has developed its own ecosystem, and King's niche in that ecosystem has been filled by an even bigger fish... namely Disney. Yes, Candy Crush Saga would have to compete with the likes of titles such as Frozen Free Fall and Maleficent Free Fall, which are both magnificent implementations of switch/match games that even I have burned some measurable amounts of time and real cash in. To me, the message is clear. King has made its bed. How embarrassing would it be for King to release it's flagship titles to Windows Phone only to be shrugged off by the Windows Phone app market for the effort? Especially after trying to leverage its brand to strong-arm Windows Phone. Frankly, a failure like that could put King's position in the iPhone and Android ecosystems at risk... which would bring potential value down in the eyes of, say, Apple or Google. I suspect there are other app publishers facing similar choices. Perhaps they have likewise made their beds. I believe the Windows Unified platform is the platform that successful iPhone and Android publishers can't afford to fail on. Such publishers have two choices 1) get in before a competitor fills their niche, (and succeed), or 2) watch and miss out while realizing in ever more clear hindsight over next decade that Windows Unified was the opportunity they wish they hadn't written off. As Jornata continues to integrate with BlueMetal, lots of things internally are coming together. One of the things I'm loving is the internal dialog with the team that I'm now a part of at BlueMetal. Our "geek chat" messaging reminds me of the best dialogs I'd been a part of at other companies, except amped. This isn't coming from just any technology architect. These folks are well-known technology thought leaders, evangelists, and MVP's. With sincere respect, I'll try to avoid getting myself in trouble with them and BlueMetal, but I'm feeling a bit like a kid in a candy store. Being the C#/mobile (and therefore Windows Phone) junkie that I am, I always watch what's going on in the space. While the Windows Phone market share at BlueMetal is significantly higher than the general population, BlueMetal's not just some extension of Microsoft. There's a lot of the team internally that are Apple and Android fans. Naturally, when the news of Apple Watch broke, the conversation really picked up, and it was all fantastic stuff to consider. One bit that came up that I wanted to write this post about, however, was a number of misconceptions that Apple fans had about Apple vs. "not Apple" in the smartphone area. I can't resist. There are good reasons to not consider Windows Phone, but some are just misunderstandings. iMessage is platform specific, locking out non Apple users. Consider Skype, Lync, or even Facebook Messenger instead. Photostream - Windows Phone has this functionality built into the OS, uploading photos to OneDrive. (and OneDrive has working multi-factor authentication, so you won't have to worry so much about selfies unexpectedly going viral. Find my Phone - yes, built into the Windows Phone OS... just a check box, and yes, it's saved several of my family members more than once. Apps - I have to admit, there's no recovery for the investment made on iPhone/iPad apps, but there is this saving grace... with Windows Unified apps, the app purchases you make on phone apps often entitle you to the same app for tablet and PC as well. The marketplace is improving daily, so the general marketplace app gap is narrowing. The Windows Phone app marketplace has better technical governance than Android's, but not as mature as Apple's, yet. iCloud backup - Windows Phone has OneDrive backups with much easier access to the content. iTunes - consider Xbox Music. With a low priced subscription, you can stream music to your phone, PC, tablet, and Xbox, and if you purchase or rip music, it makes it available thru the cloud to ask your devices... No need to sync your phone with a PC. Content just shows up. Apple Watch? Hard to say on this one... but I consciously traded my watch for a good smartphone long before iPhone came out. Still others piped up and noted how well integrated Windows 8 & Windows Phone 8 (and I would add Xbox)... All of them work independently, but put them together, and you have a ton of really great ways to do things like manage your home network, participate in entertainment, and even keep your kids safe while browsing the 'net. In my opinion, Apple serves a few purposes... they change folks' minds about what technology is socially acceptable. The industry needs them for their competition and for their tech fashion sense. It seems clear to me that the net result is that by trading in an iPhone for Windows Phone, you give up some investment in Apple, but you gain quite a bit of functionality and security for doing so, especially if you're also a Windows and/or Xbox user already. Yesterday, I happened to be at the Panera Bread café down the road with my family. We took a table next to a sign that boasted an iPhone / iPad app for the company. Out of curiosity, I checked to see if there was a Windows Phone app... the search in the app store turned up four apps, none of which had much to do with Panera Bread. On a hunch, I redirected my phone's web browser to appstudio.windowsphone.com, and drafted a new project... a wrapper for Panera's mobile site. 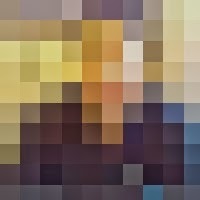 In minutes, I had used my phone to generate and sideload a brand new app. I realized I could publish the app with only a few tweaks, and from the time I sat down to eat to the time this new Panera Bread app was certified & available for download only about two hours had passed. I've decided to issue a challenge to the Granite State (NH) Windows Phone Users Group (and anyone else who wants to join in) to a "Pay it forward" style friendly 'competition'. Whenever you see an app marketed for platforms other than Windows Phone, see if you can't whip up a respectful/respectable presentation of an app that provides some approximation of the functionality advertised... for the Windows Phone platform... and publish it as a free app with no advertising or in-app purchases. It should be a "gift" of sorts in honor of the subject. Then feel free to let the folks who might be interested that they are subject to our #RandomAppOfKindness pay-it-forward activity. If the subject of your app complains of copyright issues, you may be required by copyright holders to remove the app... and you should comply. After all, this app was created and published out of good will. For cable TV customers, there's something oddly familiar about the idea of channel providers. Trading off television channels by switching cable TV providers has long been commonplace in regions where there's more than one cable TV provider, and long been the envy of those who don't live in such regions. If Time-Warner wants to cut off CBS over contract issues, and you live in a place where you only have Time-Warner, you don't get your NCIS fix. Flashback to a couple decades ago... America Online, GEnie, and CompuServe WERE the "Internet". If you wanted IN on the "online craze" you had to go to one or more of these companies and buy your seat at their table. Companies didn't advertise their web URLs. They advertised their AOL keywords. CompuServe had great educational content providers, but AOL was king of chat at a time when chat was king. 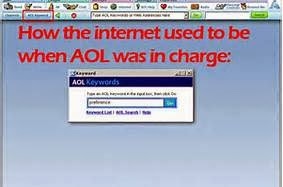 Most companies flocked to AOL as a result, and so AOL wasn't just an ISP, it was THE digital content channel provider. The channel model died with the rise in popularity of the Internet. Suddenly, all you needed to connect content to customers was the same thing that everyone needed. A connection. Thanks to a convention called "Net Neutrality", the channel model built by services such as AOL & CompuServe were walls that were knocked down. Your connection was every "channel", simultaneously, all the time, with no bundling. As a business, wanting to publish and contribute your content as a channel, you had only to invest in your own connection, and a little technical infrastructure, and you were in. Facebook has taken serious shots at bringing the channel model back. If you want to play certain online games or see some online content, you must join Facebook... and content/gaming providers who want to participate in that must come to agreements with Facebook, of course. Yet, with the breakdown of Net Neutrality, the pendulum is swinging solidly back to the channel provider model. Your ISP now has the right to decide what traffic they carry over their networks and/or throttle performance from different content significantly... if they want to cut back on Netflix... they can. If they want to nix Google services, whatever. Clearly this happened almost instantly with recent judicial rulings... The jinni is already out of the bottle. Verizon has decided to effectively drop the "Netflix channel" by cutting Netflix' bandwidth down to reportedly unusable levels. This means if you're on Verizon and were using Netflix, you either have to find a new video streaming service, or you have to find a new channel service provider. How long will it be before this impacts every Internet service provider (and even cellular network providers, since VOIP services are reducing them to ISPs as well)? "I left Verizon for Time-Warner because Verizon charges too much for the Office 365 and Facebook channels. Comcast is tempting, though, because they have Google Hangouts and enhanced YouTube in their HD package." "I wish Verizon had the same educational channels as T-Mobile or Sprint, though, cause my kids could use that for school." "Thankfully my channel provider and my folks across the country both have enhanced Skype. I can't Skype my sister at all, though." "I had to switch banks when I switched carriers. AT&T hasn't come to an agreement with my old bank, so I couldn't use their online services." "Amazon's gone bust since they failed to become a viable channel provider, and every other channel provider decided to compete against them." "Google is the new AOL. Most folks can't even get online except thru Google Fiber. Your business does not have an online presence unless it's thru them. It's too bad your competitors already have exclusive agreements with them." ISPs love this, because as cable TV providers will tell you, there's a lot of pricing power in being a channel provider, but not so much is being a connection provider. Businesses will struggle with this, however, because getting your website on the Internet will become a much more complicated proposition. Sure, you'll be able to get online the same, but your content won't be carried the same. Essentially, small business content will be at the whim of "local access channels" provided by each channel provider. They'll all have their own rules and regulations, and even more importantly, their own fees. Is your audience growing? You'll have to hammer out deals with each channel provider to make sure your content gets to all your customers. Further, how long will it be before we start having a resurgence in custom network interface hardware to the point of ending Wi-Fi and Ethernet as we know it? We've already seen netbooks and tablets that have wireless Internet service tied to specific cellular carriers. I'd be willing to bet that as channel providers gain hold and start to flex their newfound muscles, a breakdown in connectivity standards will take hold. Please don't think of it as a hundred dollar app. Think of it as a free app with the option to support an important cause. Sometimes when things get "comfortable", it becomes necessary to shake things up. Such is the case with my hobby/charity project, Jimmy Sudoku. 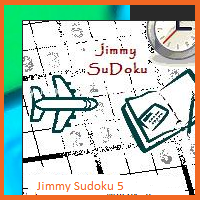 Previously, Jimmy Sudoku had two listings in the Windows Phone app marketplace... one as a free international listing, and once as a paid, US-only listing. Both were the same exact binaries. I've deprecated the paid US listing, and, in its place set up the single remaining international listing as free trial with the option to buy. Expecting to raise more awareness for the cause than direct proceeds, I've set the price to... something that will raise eyebrows. This will take effect as soon as the WP App Marketplace approves the change. There is no functional difference between the free trial and the paid mode... the app does not even check to see if you bought it, at this point. Again, 100% of the proceeds from Jimmy Sudoku 5 purchases will continue to go to #NoKidHungry... again, the app itself is free. If you choose to pay what I'm asking, the proceeds will be donated. If you decide to go directly to the charity and donate to them, I've still accomplished what I'm hoping to do with the app. What's Hiding Behind "Low Resolution" Metrics? I'm a software application developer, but I get this. Metrics are the photographs of business. While I'm at it, here's another classic cliché for ya... "A picture's worth a thousand words." Anyway, this is what metrics are to a business... data points that, when taken collectively, become the model or picture of the state of the company. Problems generally come in with the specialization of a company... the metrics it measures its own processes and performance by. Too many metrics, and it can't all be taken in... like getting a close up of the whisker I missed when I shaved. (From the "be careful of what you wish for" department.) Thankfully that doesn't happen very often; it's hard to imagine justifying the expense of that kind of metric "resolution". It's far more likely there are too few metrics. Imagine what it would look like if we reduced the resolution of the picture further... say to one data point. Imagine, for example, if you only considered the price of a share of common stock in trying to get an idea of how well a company is performing. Indeed, that's definitely a "single pixel" view, and it really won't tell you anything about the stock or the company attached to it. Now take this, again, to internal processes. Let's imagine a bank that measures its loan officers only by their average ROI on loans. It won't be long before all the loan officers are writing a few extremely short term loans for a penny at hundreds to thousands of percent interest. Hey, for $99.99, ROI on the penny just netted someone another $10k in bonuses, right? Again, a goofy extreme example, but you get the point. No one, from your boss, to world governing bodies, can point the ship in the right direction without a clear picture of where we're at.